I have another great side dish for your Thanksgiving table today, along with magnificent CorningWare casseroles and a giveaway. I know, pretty great post eh? 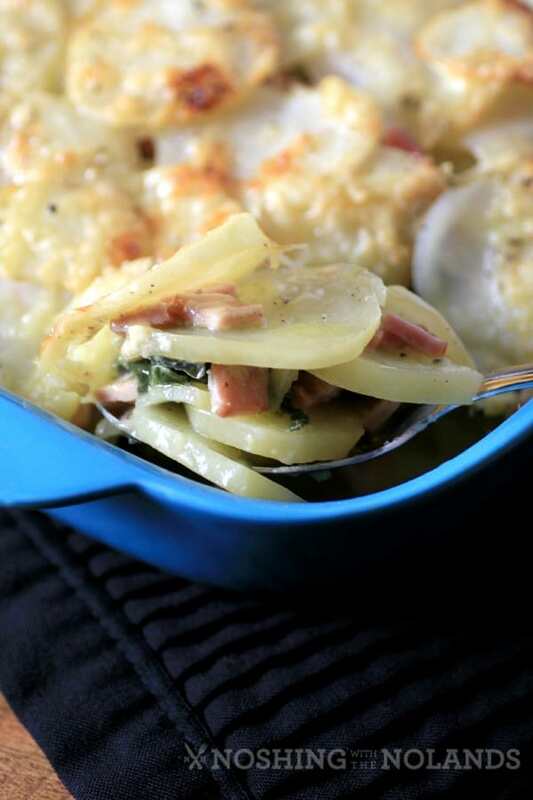 Thanksgiving is this weekend in Canada and this Canadian Bacon, Swiss Chard and Potato Gratin will be a hit on anyone’s Thanksgiving table. It is a fantastic make ahead, I did this in the afternoon and at dinner time just popped it in the oven. Viola, Sunday dinner is made! CorningWare has been around since 1958 and has been a part of my world forever. Do you remember these classics? The blue cornflower were the first featured CorningWare and were very stylish in our home at the time. I love that you can still buy that. Today things have changed slightly but the amazing quality of CorningWare still stands. Cheesy, perfectly poached potatoes, this dish will change how you have had scalloped potatoes and you will want to be making this again and again. The layer of swiss chard will blow you away with flavour! I love all the colours of these fantastic CorningWare dishes, festive for the holidays. The large flat blue dish would be great for warm dips that everyone enjoys. The smaller red is the perfect size for roast potatoes, or veggies like Brussels sprouts. The last little yellow one has already had a chutney in it for our table. They all will find tons of uses here in our household and I really was in need of a new set and one that brightens up meals is such a nice change from the standard white. Taking this dish hot out of the oven and putting it on the table will receive you, oohs and aahs from your family and friends. If you are just serving this and not for Thanksgiving as a side, a serving of freshly steamed veggies is all you need to accompany this. We had diagonally sliced carrots and bright green broccoli. The Canadian bacon in the dish will satisfy the meat eaters in your family along with the hearty potatoes. 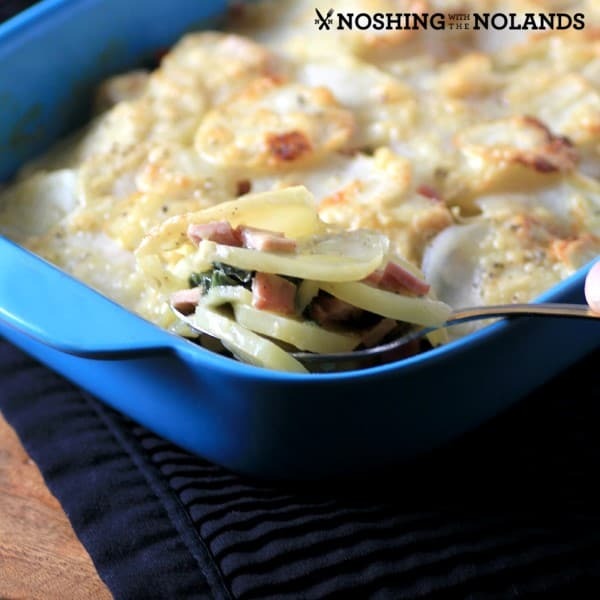 The gruyere cheese melds the entire dish together and the swiss chard is just an added bonus of garlicky flavour! The addition of the chicken broth allows the potatoes to slowly poach in the liquid leaving them completely tender but still holding their shape. Enjoy everyone, Happy Thanksgiving and enjoy a new set of CorningWare too! A melding of gruyere cheese, with garlicky swiss chard and potatoes make a perfect side dish for Thanksgiving or a main anytime. Preheat oven to 425F. In a large saute pan melt 1 Tbsp. butter over medium heat. Add the Swiss chard and cook for 1 min. until starting to wilt. Add the garlic and season with salt and pepper. Cook until there is no liquid left. With a ½ Tbps. of butter, butter 9x12" casserole dish. Place in one third of the potatoes, salt and pepper this layer then add a third of the cheese and half of the bacon. Place the Swiss chard in an even layer on top. Top with another one third of the potatoes and salt and pepper this layer. Sprinkle on another one third of the cheese followed by the remaining back bacon. Add the last of the potatoes. Pour over the chicken broth. Season again with salt and pepper. Top with the remaining cheese. Dab on the last Tbsp. of butter. Cover the casserole with aluminum foil, you can refrigerate now for a few hours or place in the oven for 15 min. Remove the foil and continue to bake for 30 min. or until the top is golden brown and the potatoes are fork tender. Let stand for 2-3 min. before serving. Recipe adapted from Food & Wine Magazine’s Quick From Scratch One-Dish Meals Cookbook. We have a wonderful giveaway from World Kitchen who supplied this fantastic 2 .5 Quart Vermillion Baker by CorningWare. Come on and enter to win, it will look gorgeous on your table!! This giveaway is for all Canadian residents. 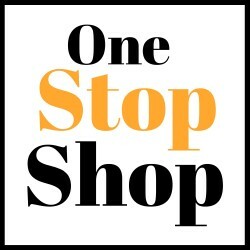 We can’t ship to P.O. boxes so please include a full address if you win. The giveaway is open until Oct. 30th at 12:00 am. This post is sponsored by World Kitchen and I have been compensated monetarily and with product. We so loved it too Jill, great recipe for Swiss chard! 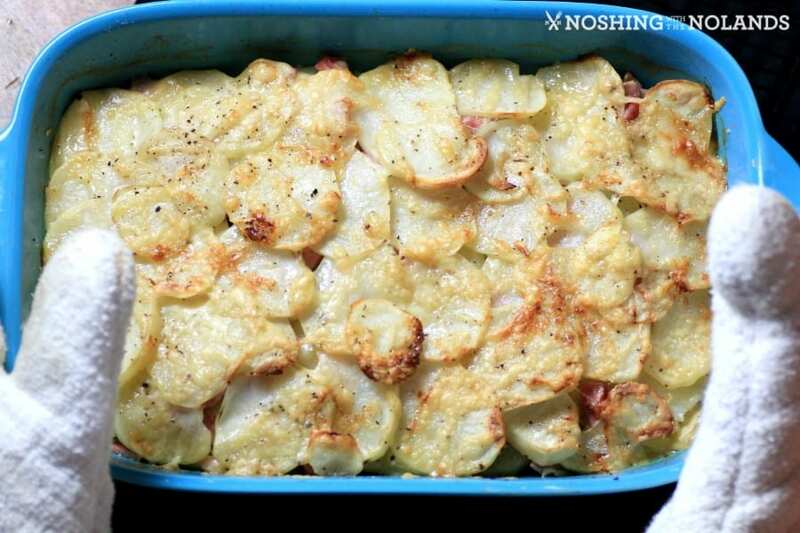 Any casserole and I will make this potato dish,it looks so yummy thanks. That looks wonderful! I would love to make something with spaghetti squash! We seem to have an abundance this year! Happy Thanksgiving!! Potatoes and cheese and then an ode to Canada with the bacon. Yummy. Looks so comforting! Just in time for fall. 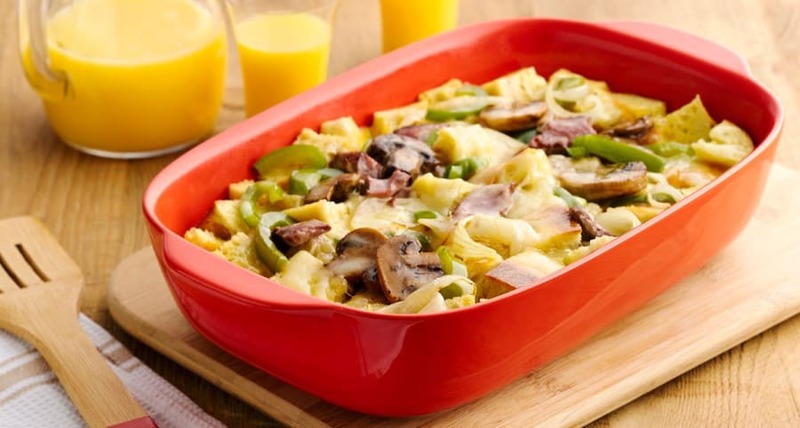 Casseroles are great in these dishes! 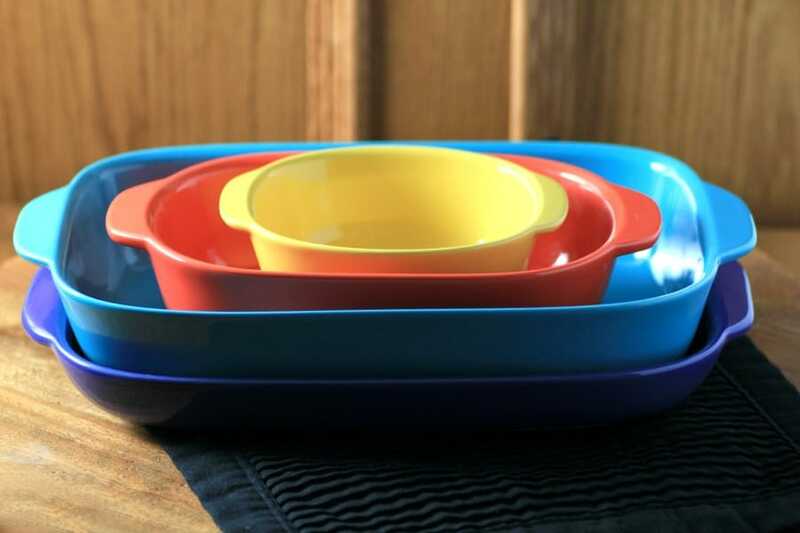 I love CorningWare and adore all those great, new colors! Perfect dish for Thanksgiving casseroles! And your recipe here would be the first I would try, Tara! I would make a yummy cod casserole!! Thanks! I would make a lasagna! The first thing I would love to make in the Vermillion Baker by CorningWare would be a great gluten free lasagna! This dish would look so pretty on the table for serving in it! My spinach lasagna would cook perfectly in one of these! A nice lasagna! I love that when it’s colder outside. I would make an apple crisp! The first thing I would make is Lasagne. I would make a zucchini lasagna. The first thing I’d make is scalloped potatoes! 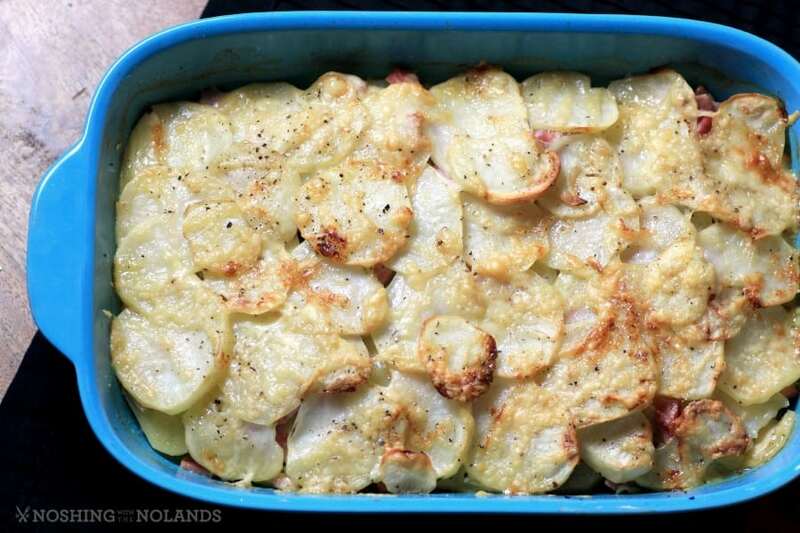 the first thing I would make is scalloped potatoes with cheese and onions. It’s one of my favourite dishes to bake in the oven! The first thing I would make is chicken Parmesan.